TalentsFromIndia can be described as a hub of highly skilled developers living with an aim to serve clients with top notch qualitative services. 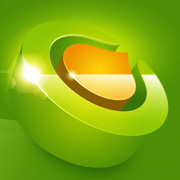 This is the main reason why we have been known as an apex Joomla development company worldwide. TalentsfromIndia has built a strong image in the market when it comes to Joomla Web Development, offering eminent services since decades. 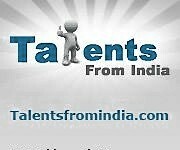 Talents From India provides you with numerous quality services. Integration services are one of them. Integrating your site with various applications on the internet helps provide a stable platform to your customers to shop and do other things freely without having to go through a lot of trouble. Our staff consists of professional developers who carry out the integration as per your requirements and in accordance with your business. Our expert panel has years of experience behind them and have provided integration services to many clients across the globe. PAYMILL GmbH, founded in June 2012 in Munich, Germany, offers online merchants a simple solution to handle credit card payments comfortably and securely. With our online payment gateway, you cannot only offer different payment methods to your customers, you are also enabled to choose the necessary currencies for your business. It can be easily integrated into your own website or mobile application, adjusted according to your wishes and activated within a short space of time. Currently available in 40 different European countries, PAYMILL is also actively supported by its investors Holtzbrinck Ventures, Sunstone Capital and Blumberg Capital. PayPal, an easier and safer way to make your e-business an e-success. Getting paid online has never been faster or easier. With PayPal Payments Standard, you can add a payment button to your site to securely accept credit cards, debit cards, PayPal. And getting started is a breeze: It only takes about 15 minutes to set up your payment button, with no advanced programming required. When customers check out, they are redirected to PayPal to pay, and then return to your site after they’re finished. Accept Visa, MasterCard, American Express, Discover, and PayPal. Your customers don’t even need a PayPal account. You only pay a low transaction fee and a fixed percentage on each sale when you get paid. There are no lengthy applications, setup fees, or monthly fees. Redirects customers shopping from mobile devices to a mobile-friendly version of your website. View a summary of your account activity each month, including monthly sales, inventory, and profit and loss statements. Accept payments in 24 currencies from 190 countries and markets around the globe. Learn more about PayPal Payments Standard. For questions or help getting started, email PayPal or call 1-877-455-1505. * Bill Me Later requires credit approval, as determined by the lender, WebBank, Salt Lake City, Utah. ** There are 110 million active PayPal accounts. Active accounts are those that have had activity in the past 12 months. Millions of shoppers pay with PayPal. If you already accept credit cards online, you can also accept PayPal by adding our Express Checkout button—and boost sales by up to 18% in the process. When you integrate the PayPal Express Checkout Shortcut, your buyers can speed through checkout using the shipping information and funding source already stored in their PayPal accounts. They don’t have to re-type any information—saving them time and reducing shopping cart abandonment. And once the transaction is approved, the money usually shows up in your PayPal account in minutes. PayPal Express Checkout gives your customers another way to pay you, and it complements your existing payments solutions. You only pay a low transaction fee and a fixed percentage on each sale when you get paid. There are no setup costs or monthly fees. Buyers shopping from smartphones are automatically redirected to a mobile-friendly version of your website for a fast and easy checkout experience. Get help from PayPal when you need it—either by phone or email. Easily see and download your PayPal transaction data with our reporting tools. Help protect your business with PayPal’s Automated Fraud Screening—included at no extra charge. Learn more about PayPal Express Checkout. 1There was an 18% average increase in sales from merchants since adding the Express Checkout service in an Ipsos Study, July 2010 conducted on 805 PayPal Merchants. 2 There are 110 million active PayPal accounts. Active accounts are those that have had activity in the past 12 months. PayPal Payments Pro gives you everything you need to securely accept credit cards, debit cards, PayPal [, and Bill Me Later1]* on your website. It offers a secure, [PCI-compliant payment experience]**; complete customizability over your customers’ checkout process; and an Internet merchant account from PayPal. PayPal Payments Pro is ideal for businesses that want complete control over the checkout experience. Customers can pay by credit card without ever leaving your website. Plus, you can tap into more than 110 million active PayPal users.2 PayPal Payments Pro requires credit approval (2-3 business days). Offer checkout on your site for only $30 per month plus a low transaction fee and a fixed percentage on each sale. You can cancel at any time with no penalty, and you only pay for the transactions you process. You design and host the entire checkout experience. That means you have complete control over the experience for buyers paying with credit cards. Learn more about PayPal Payments Pro. 1Accepting Bill Me Later as a payment option requires use of the hosted templates in PayPal Payments Pro. Bill Me Later is subject to credit approval, as determined by the lender, WebBank, Salt Lake City, Utah. 1GB webtárhely *korlátlan szolgáltatásokkal 3 990 Ft./Év bruttó! Korlátlan viszonteladói webtárhely,VPS bérlés. Tárhely szolgáltatás már 8.éve! Előretelepített joomla és virtumart webáruház támogatás! Promodo Company is a European internet marketing company headquartered in Kharkov, Ukraine. Since 2004 we have been providing our services worldwide. The company has the status of Google AdWords Certified Partner. We are also proud to have won several SEO awards from a reputable online magazine Promotionworld. Our motto is “Your website should develop your business instead of just reflecting it”! And we will help your online business prosper.